Before You Start: Your website must be a wordpress.ORG and NOT a wordpress.COM website. 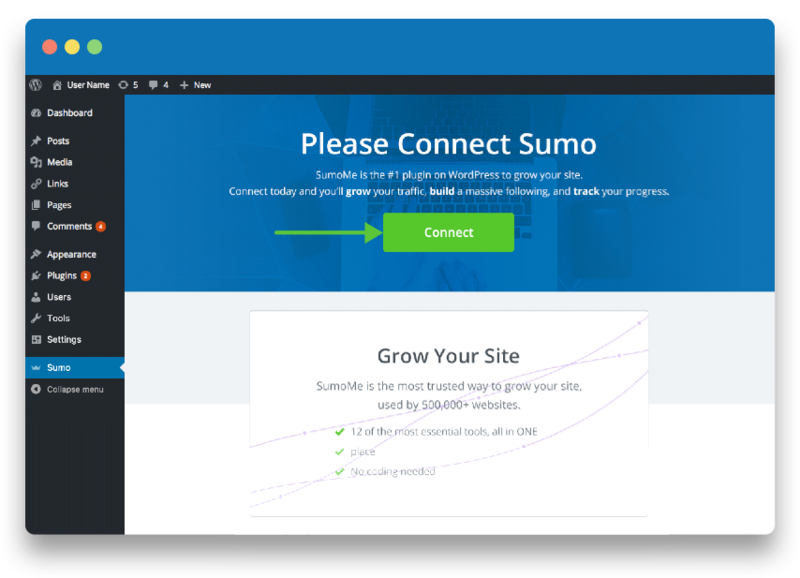 Don't use WordPress and want Sumo? Sign up for Sumo now. 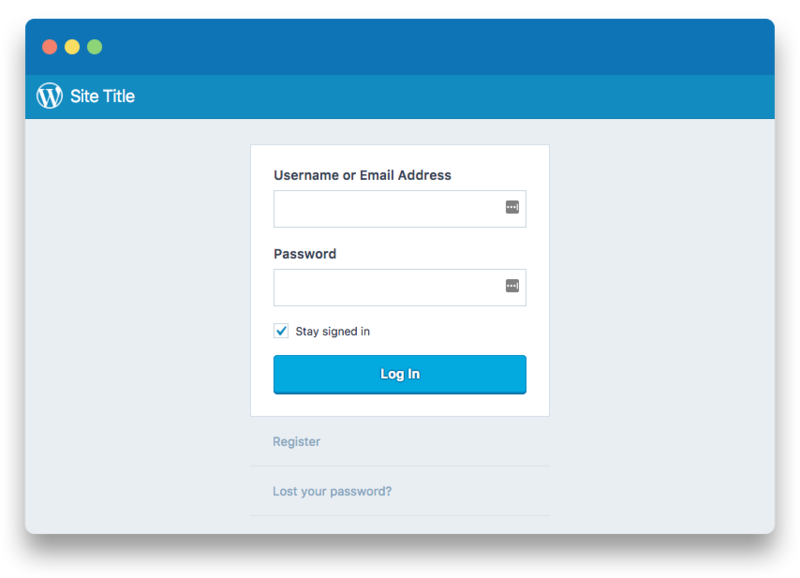 Log in to your website's WordPress Admin Dashboard. Select Plugins > Add New. 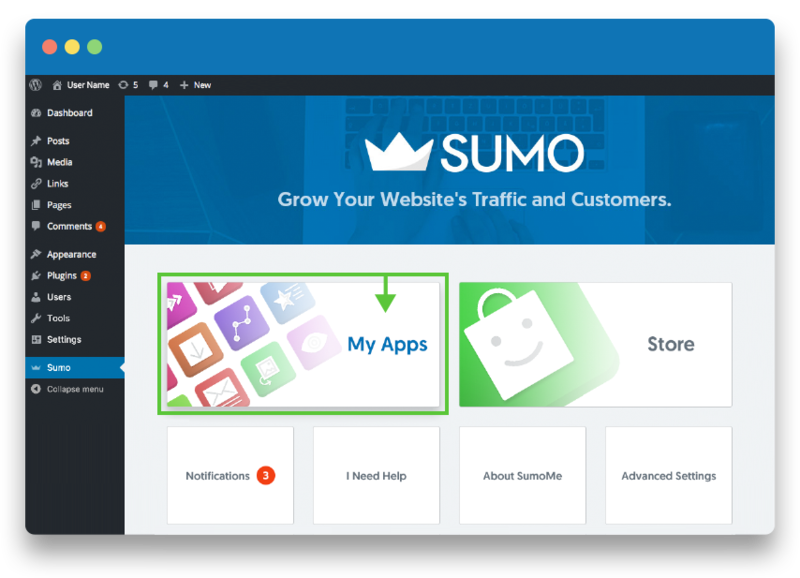 Search for Sumo and then click Install Now. 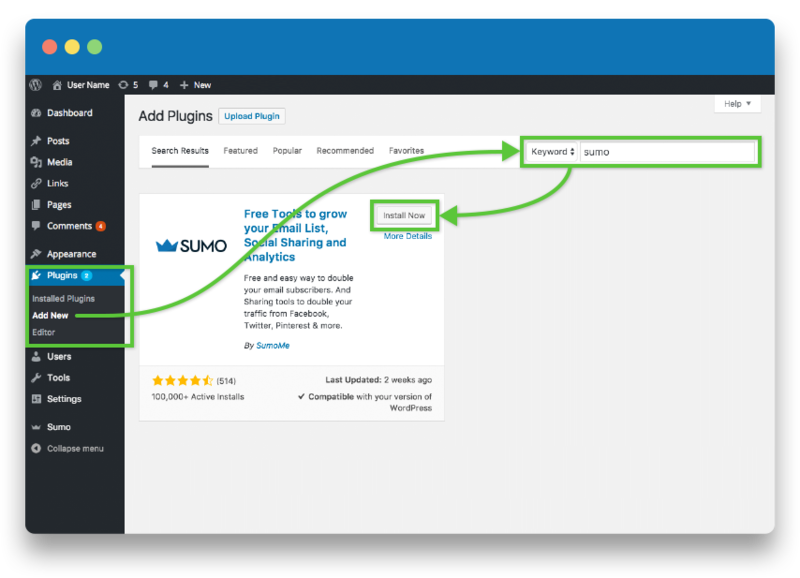 Click Activate Plugin to finalize your plugin install of Sumo. 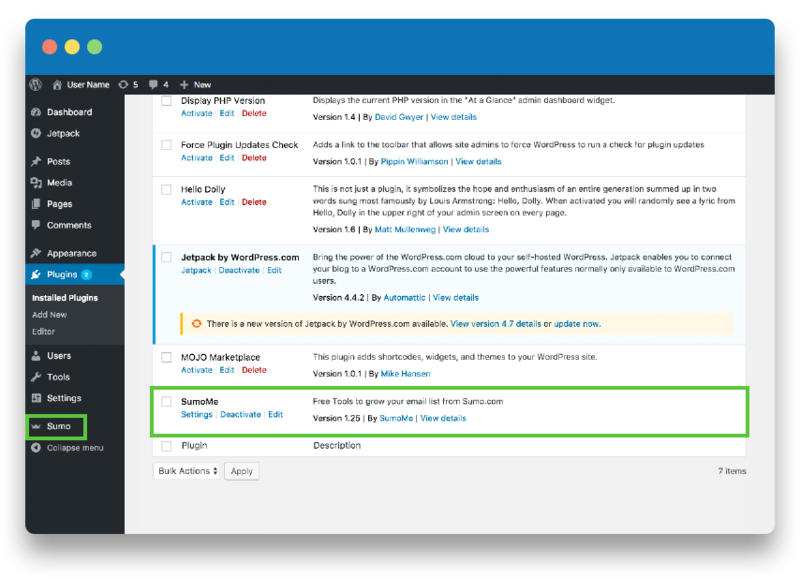 Click Settings within the plugin list or on Sumo within the dashboard. 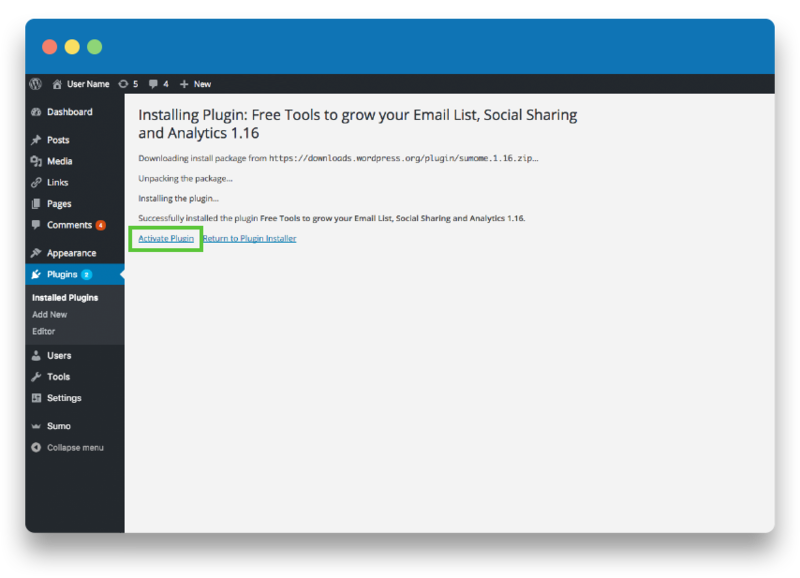 Click Connect to attach your account to access your Sumo tools. 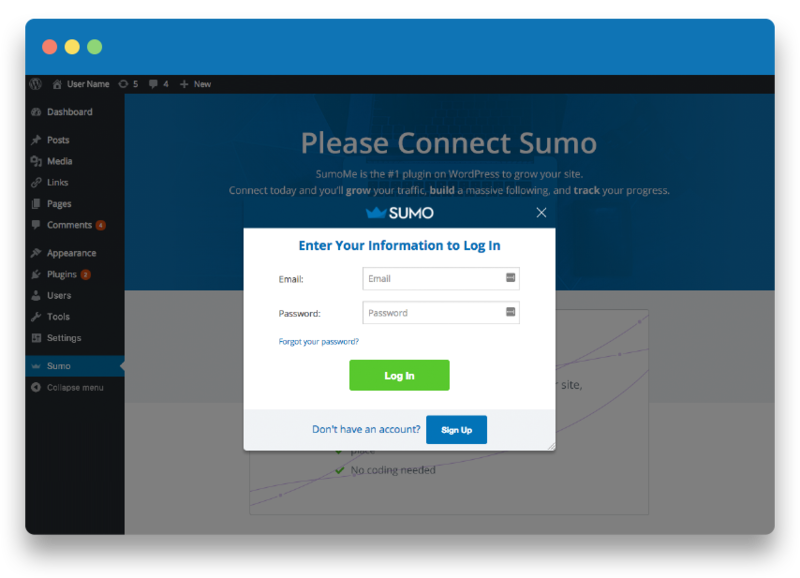 Enter in your Sumo account information or create a new account. Yes, you are connected! Now click on My Apps to access your tools. 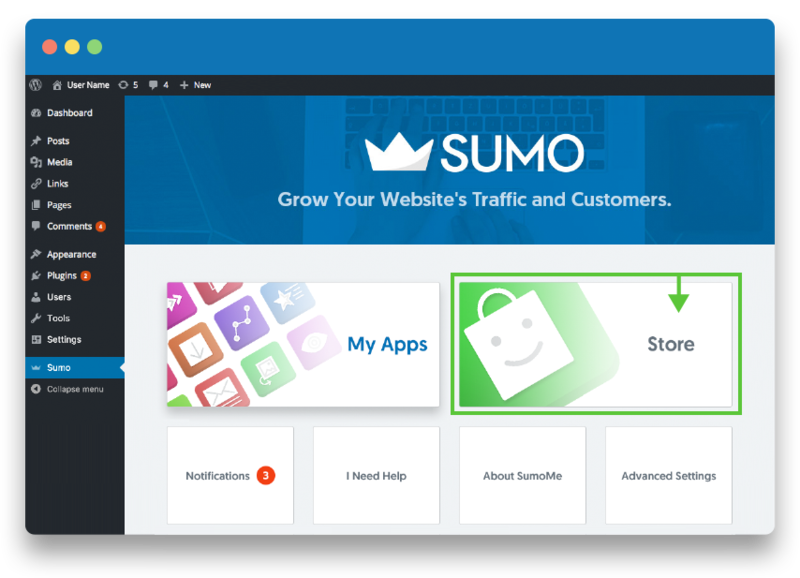 Upgrade to Pro by clicking on Store from your WordPress Sumo Dashboard.